The A458 heading towards Snowdonia sees the biggest seasonal increase in traffic on England’s major A roads. During the summer it carries almost a quarter (23.1%) more vehicles than during the rest of the year. 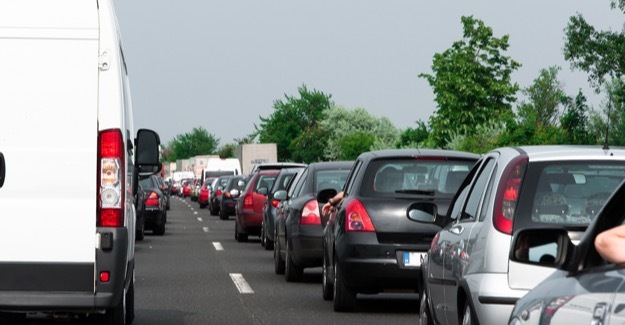 Figures released by government reveal the top 20 A roads managed by Highways England with the biggest percentage rises in traffic volumes during the summer holiday period. After the A458, comes the A30 in the West Country (19.2% increase) and the A2070 in Kent heading towards the coast and Camber Sands (16.1%). The road with the fourth biggest increase is the A494 just north of Chester which runs into North Wales (15%) and fifth is the A31 through the New Forest (13.1%). The data was published in response to a parliamentary question tabled by Layla Moran MP. The calculations were based on a comparison of traffic data collected during the 6-week period 25 July 2016 to 3 September 2016 and data collected over another 6-week period, 12 September 2016 to 16 October 2016. “These routes will be known to millions of drivers who use them annually to get to the seaside or the countryside. “But we sometimes forget that they are also key roads for local motorists who are going about their daily business rather than setting off on holiday. For visitors and residents alike there is nothing worse than being stuck in traffic when they’d rather be anywhere but. “Some of the percentage increases may not appear that high but on roads that are already heavy with traffic every extra vehicle matters.